After almost three years of cruising, my biggest concern is not navigation, sinking, crossing the gulf stream, or my anchor holding. It is where to land the dinghy. It sounds like it should be simple doesn't it. However, there replica watches is little documentation within the cruising guides about dinghy docks. 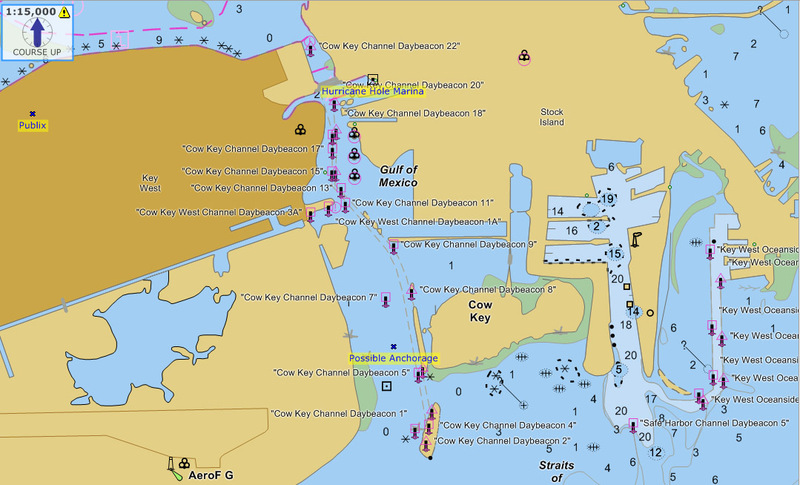 Therefore, to enhance my own enjoyment of the Keys and to make it easier for those who also want to cruise in some of Florida's best water, I put together the following information. In some of the screen shots you will also find restaurants and other places of interest for cruisers. I want to thank everyone who has contributed to this page. Without your help, I would not have been able to complete many of these entries. 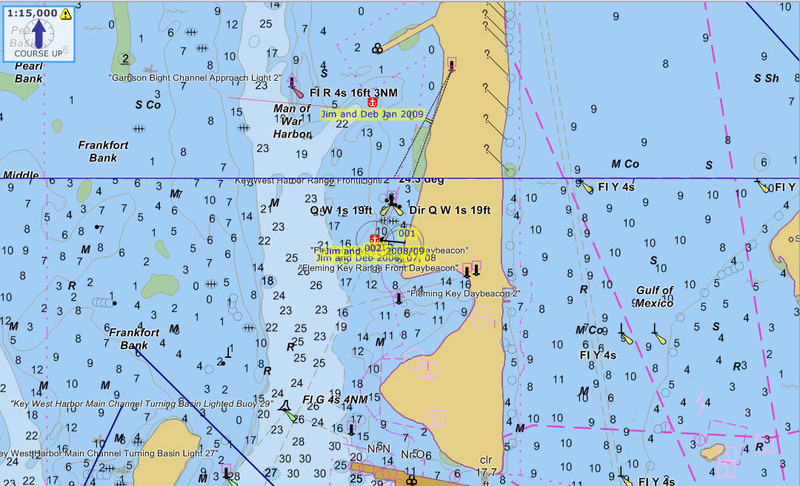 For the pictures, I have taken screen shots of my laptop's navigation software, Chart Navigator Pro. Each of the pictures are stored in a higher resolution than I normally use for my website. This is so you can download each picture and look at them in a larger format on your computer. The anchorages I have used in my Gemini 105M (3foot 6 inch draft) are the ones that are indicated with a red block and a white anchor. The other locations have been suggested by other contributors and I have placed them on the maps to the best of my ability. Please don't use this as your navigation information! Rather, use it as an advisory and anchor and navigate using your own charts. 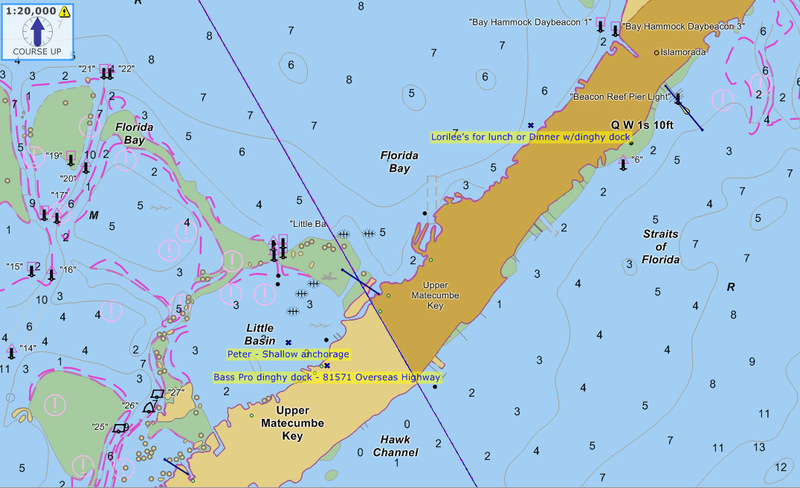 With that said, I really would appreciate any further information that will enhance the anchoring experience in the Keys where there is good access to dock or land your dinghy. To access a picture, you should be able to right click on the picture and save it to your computer. It is actually bigger than it appears here and you should be able to read it even better. I hope you enjoy the places as much as we have. Please send suggestions or modifications to me at - jfaughn "at" socket.net - of course you have to substitute @ for "at" to actually send me an email. Miami Beach - I chose to start at Miami and head south and west to the Dry Tortugas. 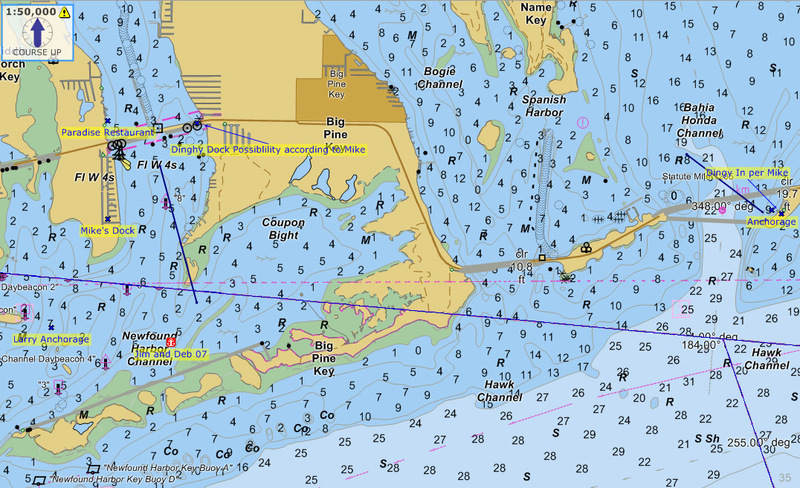 In the picture to rolex replica watches the right you can see where we anchored, along with a suggested anchorage to the north of Belle Isle depending on the winds. In addition, on the north side of Belle Isle is a public launch ramp where you can discard trash. Down the canal is a Publix store and a place to lock your dinghy in the canal. Back towards the anchorage is another place to lock your dinghy next to a bridge and you can catch a bus to anyplace in Miami or you can walk to the Lincoln Mall. The Lincoln Mall is an outside Mall and a fun place to watch people and get something to eat. South Miami and Dinner Key - These were suggested by another Gemini owner. 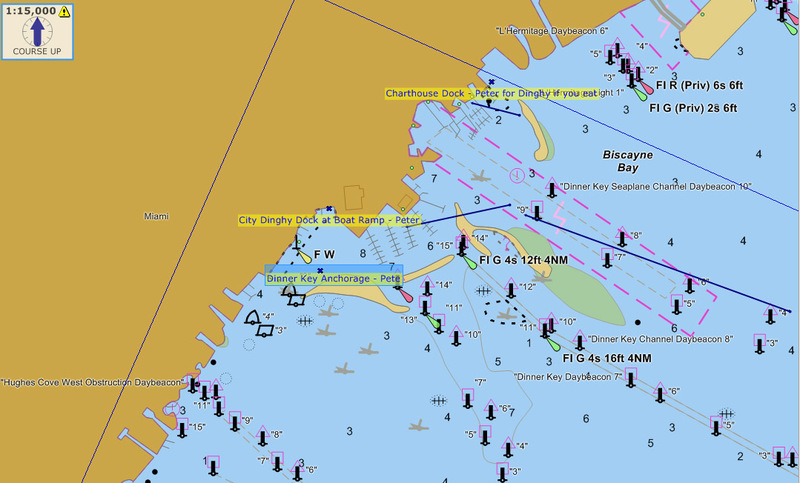 I've indicated the anchorage and the dinghy dock locations. One is at the City Boat Ramp and another at the Charthouse dock if you are eating. 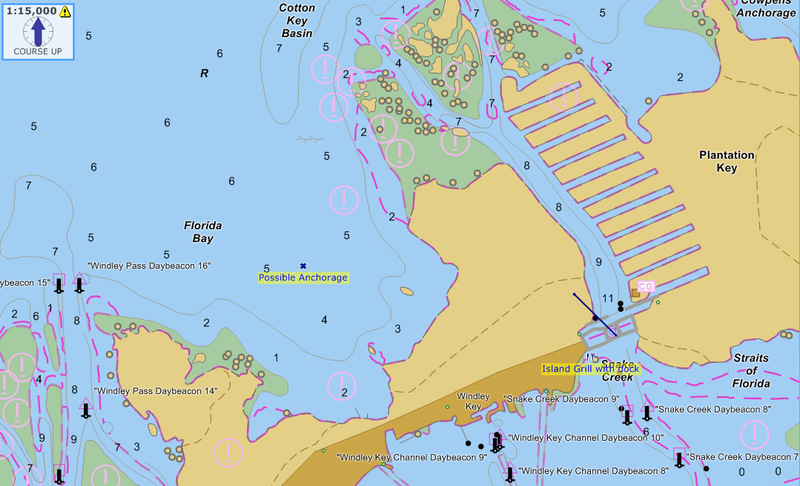 Key Biscayne - Another anchorage suggested by a Gemini owner. I don't have the name of the restaurant here, yet. Boca Chita - We were going to stop here a couple of years ago but when I called, they said you can't have pets on board. Since we travel with our parrot Jimmy Buffett, we didn't stop. However, we've heard it is a great place to visit. Key Largo - We saw this on our way up the Keys in 2007 but didn't stop. However, we have friends that very much enjoyed it at Gilbert's Resort and their Tiki Bar along with a recommendation from a fellow Gemini owner. It will be a stop on our trip north this year, 2009. In addition, you can see the recommendation further south of Gilbert's too where there are restaurants that allow you to dock if you are eating there. 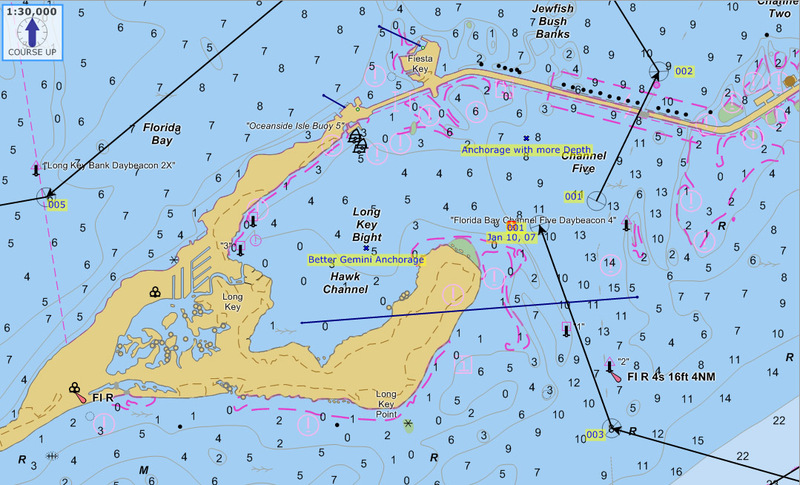 Key Largo and Rodriguez Key - This is really the best/only place you can anchor using the Hawk Channel route south. You will usually find several boats anchored and the side of course depends on the wind. It isn't a bad anchorage unless you are getting strong winds with rollers. However, if you have a deep draft and can't use the inside route, this is one of your options. Islamorada - This shot is actually of Windley Key which is one key north of Upper Matecumbe known as Islamorada. In the one to the right, I've indicated one of our favorite restaurants when we would drive down from Miami. It has a dock so you can dinghy in and have lunch and they typically have live music too. There is a bascule bridge here and if your draft is ok, you might be able to move from the gulf side out to Hawks channel or visa versa. Islamorada - I've had this location suggested by several other Gemini owners. Lorilee's has a dock for their patrons and Bass Pro does also. The anchorage suggested in Little Basin would only be for a shallow draft boat next to Bass Pro. However dinghy's should have no problem tying up to Bass Pro's dock. Long Key and Channel Five - As you can see, we've stopped here. It is a good place to go from the Hawk Channel over to the gulf side or visa versa. 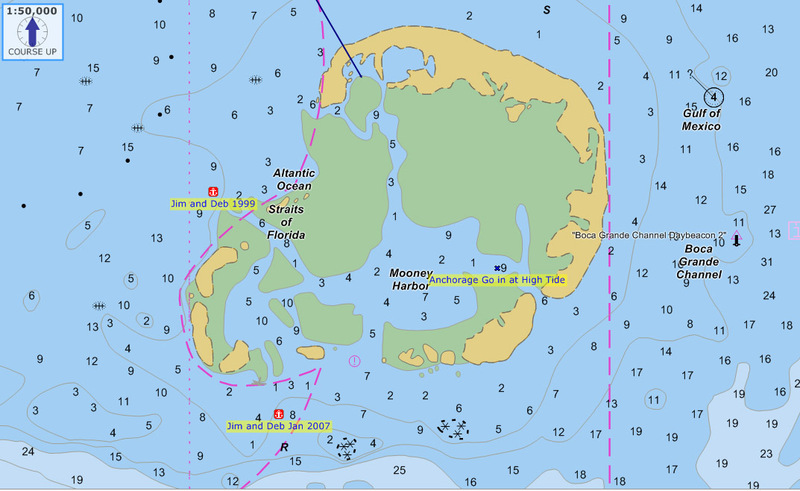 In addition, when we went to the Bahamas, we positioned here so we could leave for South Riding Rocks and then on to the Bahamas Bank. Marathon - For many cruisers, this is home for the winter or where they wait for weather to cross the Gulf Stream and provision. You can see that we've spent a bit of time here too. 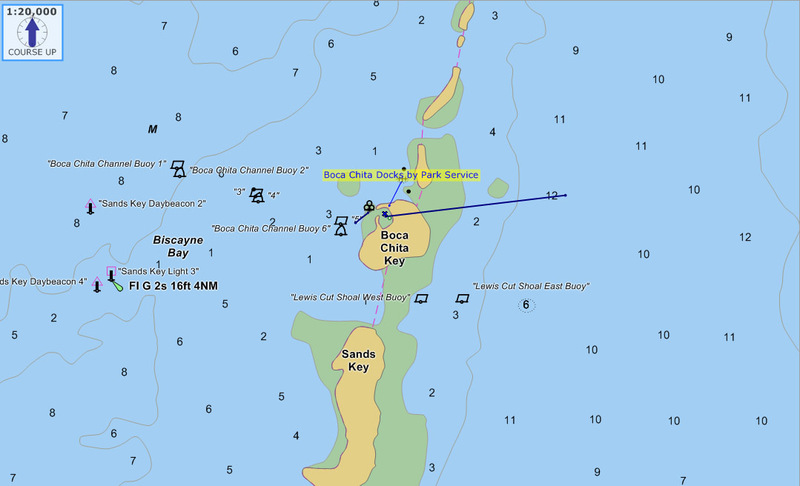 Overall, Boot Key Harbor has been taken up primarily with the mooring field. However, you can still find a few anchorages inside by the bridge. Of course if the wind is right, you can anchor out off of Boot Key. Bikes are good here although many people walk to the grocery and the catch a cab back to the dinghy dock especially if provisioning for the Bahamas. I've noted the Dingy Dock at the City Marina and you can either pay for a mooring which includes the dinghy dock or you can just pay for the dinghy dock if anchoring out. With the mooring you also get showers and use of the laundry. They have a Tiki Hut and many meet and greets to get you introduced to other cruisers. In addition there is a net every morning at 9 am on channel 17. The West Marine dinghy dock is in case you are shopping there although I'm sure you could buy something and tell them you are going over to the mexican restaurant across the street. The rest of the restaurants are all pretty good. Great music at Docksides and the happy hour at Castaways is good too. Bahia Honda and Big Pine Key - Bahia Honda has been used by friends of ours and there is a park you can use. I've been told to use care anchoring because there is junk on the bottom and the current runs quickly through here. Two anchors are recommended and probably with trip lines. Also, make sure they set because you may find the sand washed away in areas and be down to hard pack. 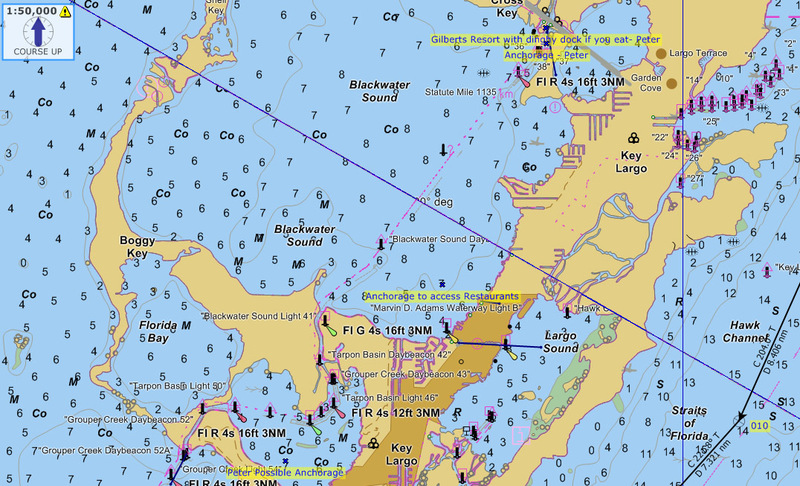 Big Pine has anchorages further out after new anchoring restrictions were put into place. Several sailboats left unattended drifted into the power lines in a couple of hurricanes and took out the power for the rest of the lower keys. Darn those masts. There is a dock at Paradise Restaurant which is a good restaurant and there is also supposed to be a place at the bridge to land your dinghy too. 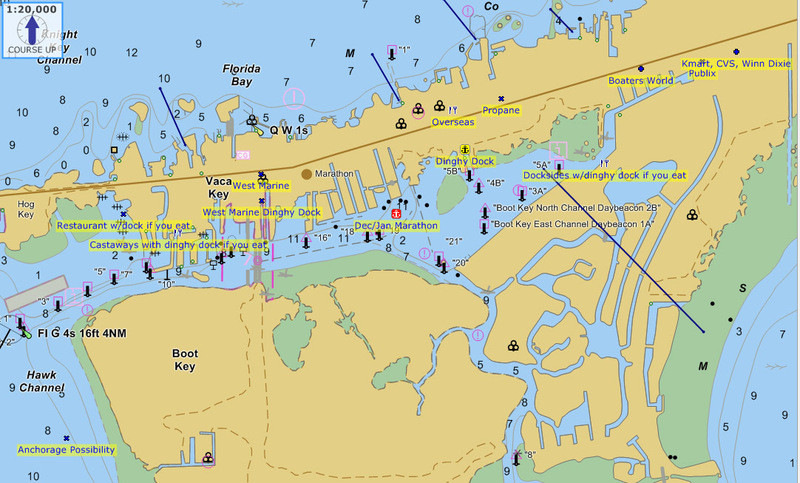 Eastern Key West - Stock Island - As you approach Key West at the most eastern end, I've seen people anchored up this narrow channel. On a kayak trip out of Hurricane Hole Marina I found you can dinghy in if eating there. There are some other places to anchor just off the chart to the right but I don't know about dinghy access. Key West - If you follow our website you already know that Key West is one of our favorite places to spend some time. We've indicated some of the area places you may be interested in. 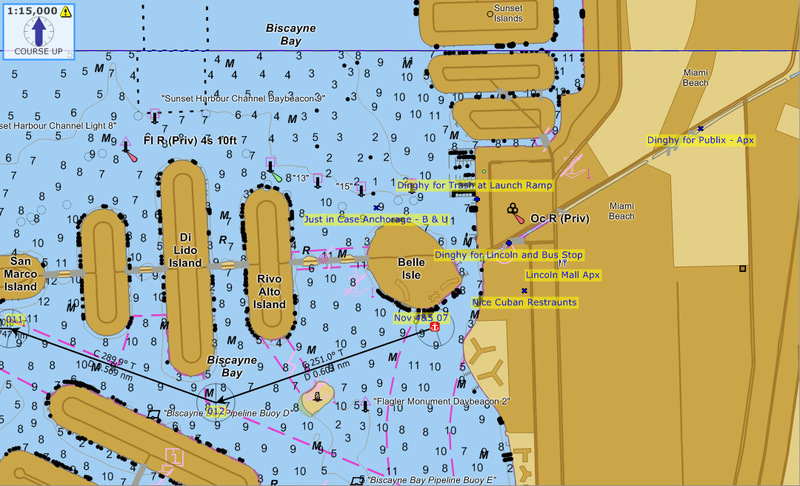 The dinghy dock if you are anchored is the one indicated with a yellow box with anchor and next to Dante's. It costs $80 per month in 2009 and you pay at the city dock. You get trash and oil disposal along with water. 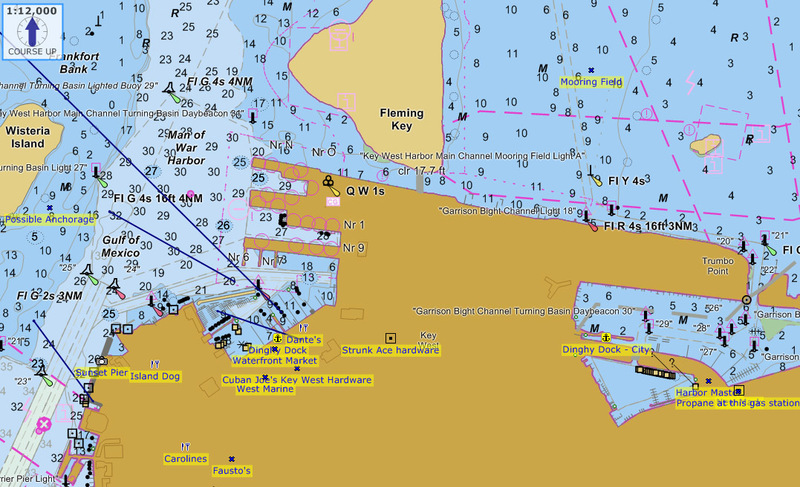 If you are using the mooring field, the dinghy dock is over in Garrison Bight which is also noted with a yellow box with anchor in it on the right side of the screen. There are tons of places to eat in Key West. However, two of our favorites are Dante's and Caroline's on Duval. Dante's because we know people there and the portions are huge so we split lunch. Caroline's because it is fairly priced, good food, great place to watch people and we split lunch there too. 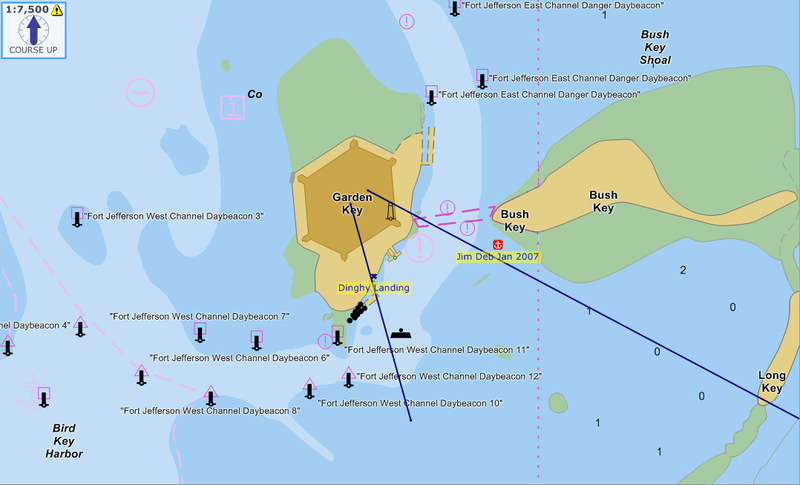 Fleming Key - We always anchor out in Key West and normally on the west side of Fleming Key. However, the navy is in the process of enforcing a new restricted zone which provides a 500 yard blast zone from their ammunition bunkers. This means many people are getting moved out and anchorages will just be different. 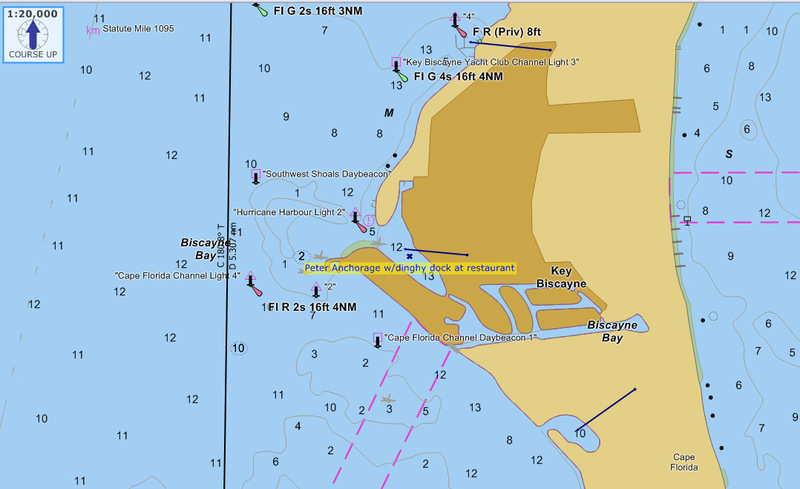 The mooring field is on the east side of Fleming Key. Marquesas - Ok, I broke my rule. There isn't dinghy access here. However, if you are on your way to the Dry Tortugas or if you want a great dinghy ride to do some bird watching, this is a great stop. I haven't tried the inside anchorage but was told by another person you can get in but it is tight. He ran aground a couple of times and backed off. 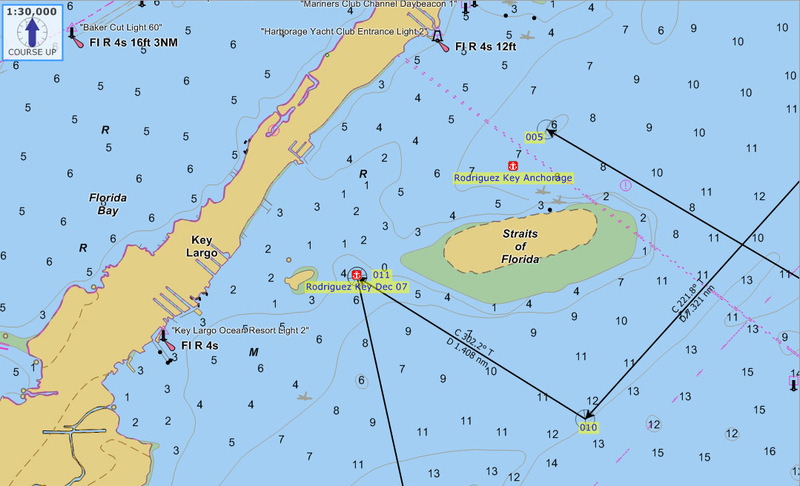 We typically use this so we can arrive at the Dry Tortugas in the daylight or just as a good out of the way anchorage. Dry Tortugas - This is a great place to visit on a boat. After the tour boats leave, you have the place to yourself and the campers. I think it costs 25 bucks for the week to stay here. Of course I'm sure you know there is no fresh water so you better take what you will need along with extra in case you get stuck for a front or two. The park rangers don't provide tours of Ft. Jefferson. However, if you dinghy in when one of the tour boats comes in you can tag along with one of their tours. Of course when we do this we give them a tip too. The restrooms on the land close when the tour boats arrive and reopen when they leave. Be sure you have room in your holding tank for the time you will be here. We've used both the south and north route to go and return from Key West. Choose based on the wind direction and you will really appreciate the lower wave heights. If you want some of the best snorkeling available in the states or just want a place where civilization has been left behind then you will find it here. I hope this helps you as much as it would have helped me before I left to go cruising. Please let me know your feedback.